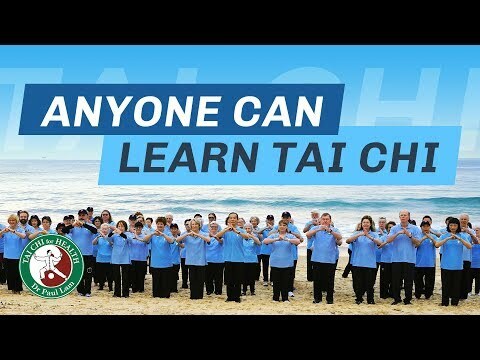 Dr Paul Lam Tai Chi is one of the most famous Chinese martial art of the internal style. Internal styles place emphasis on breathing and the mental component of their training, execution of the movements is generally soft. Many other martial arts concentrate on the external form, and feature vigorous body movements, dynamic kicks and harsh punching actions. In contrast, Tai Chi consists of fluid, gentle and graceful, circular movements. Breathing is deepened and slowed, aiding visual and mental concentration, relaxing the body and allowing the life force or “Qi” (a life energy inside the body) as it is known in Chinese, to flow unimpeded throughout the body. These techniques help to integrate the mind and body and allow the achievement of total harmony of the inner and outer self. A person living in harmony is more likely to be happy, fulfilled and healthy. Nowadays, Tai Chi is practised throughout the world for its many health benefits. Many people have forgotten its martial art origin; it is useful to learn its historical background.